Chelsea have goal wrongly disallowed during draw with Southampton. Alvaro Morata was onside when he put the goal in the back of the net. Chelsea had a perfectly good goal disallowed during their 0-0 draw with Southampton tonight. Who can oppose VAR when such costly errors are being made by the officials in this country? Granted, Chelsea could have performed better over the course of the 90 minutes in order to take all three points from tonight’s game, but ultimately we have been let down by a poor piece of officiating. Alvaro Morata put the goal in the back of the Southampton net (yes, you read that right), but the linesman on the far side raised his flag, indicating that Morata had strayed into an offside position. The only problem is, he didn’t. 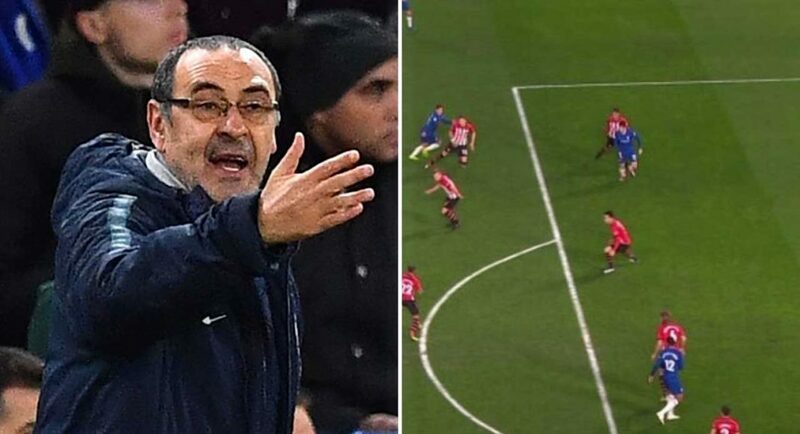 As shown in the below image, Morata was in-line with the Southampton defender, who just happened to be on the same side of the penalty area as the linesman who disallowed the Chelsea striker’s goal. VAR will be introduced in the Premier League starting next season, but it’s already too late. The officials in this country are inept and incapable, and we’re suffering as a result of their shortfalls.